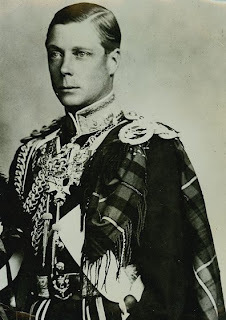 In an idle moment, I wondered what Great Britain would have been like if Germany had won the war and Edward VIII had been installed as king. I sadly realise that I need wonder no longer. Jaqui Smith, Home Secretary of Great Britain issued a list of people banned from entry into the once Great Britain. Michael Savage, a prominent and outspoken radio personality was included on a list that lumped him together with people serving time for murder, members of violent terror organisations and a crackpot preacher who picketed the funerals of soldiers killed in Iraq. No distinction was made between annoying and obnoxious people and people who presented a clear danger to public order and safety. Michael Savage, who has 10 million listeners and no intention of visiting the United Kingdom is suing the Jaqui Smith for defamation of character. Ms. Smith explained the alleged logic of the list she released as follows. "If people have so clearly overstepped the mark in terms of the way not just that they are talking but the sort of attitudes that they are expressing to the extent that we think that this is likely to cause or have the potential to cause violence or inter-community tension in this country, then actually I think the right thing is not to let them into the country in the first place. Not to open the stable door then try to close it later," Ms Smith said. "It's a privilege to come to this country. There are certain behaviours that mean you forfeit that privilege." Ms. Smith is in charge of guarding Britain's borders against external threats. In a country that has experienced numerous terror bombings and suffers from violent ethnic strife, Smith sounds like a prim school marm standing at the door of her classroom and wagging a scolding finger at her charges. She looks like a joke. the stern and pious tone of her pronouncements are a coverup for moral cowardice. Lest she appear to be endorsing ethnic profiling, she is practicing affirmative action on her list of people she won't admit to Britain by including people who are unlikely to be a danger to British safety and security to compile a list with ethnic balance. What is even more chilling is the effect that lists such as that released by Ms. Smith will have on free speech within Britain. Instead of concentrating on clear and present danger, the British are passing judgement on the fitness of individual opinions. An individual on a lecture tour has to pass a political correctness test to enter the country. It is the start of a slippery slope in which thoughts rather than deeds are being judged. Britain is notoriously timid in dealing with Islamic preachers who foment hatred and actually raise money and man power for violent activities. They have a large Muslim minority with a noisy militant subculture of which they are afraid. In addition to this, they are cowed by the Arab oil money. It is I believe for this reason that they are maintaining the fiction that all extremes are equally extreme and all extremists are equal. Great Britain is the nation that gave us Winston Churchill with his "stiff upper lip" and promises of "blood, sweat, toil and tears." It is also the nation of Neville Chamberlain, whose capitulation to Hitler in the surrender of Czechoslovakia was the prelude to World War Two. It is clear whose influence predominates in Britain today. Sixty four years after the end of World War Two, Great Britain has surrendered. Far from being the proud nation that stood up to the Nazi Blitzkrieg, they are far more like the citizens of the Channel Islands who lived cheerfully under German occupation from 1940 until they reverted to British rule in 1945. It is the quiet, pragmatic collaboration of the Channel Islanders that characterises the shameful behavior of the British government today. A once great nation has passed on. What a pity.